John Norman is the pseudonym of John Frederick Lange, Jr., Ph.D. He was born in Chicago, Illinois in 1931 and earned his B.A. from the University of Nebraska in 1953 and his M.A. from USC in 1957. In 1963 he obtained his Ph.D. from Princeton. Mr. Norman is married and has three children. The Chronicles of Gor — (1967-2013) Publisher: Tarl Cabot has always believed himself to be a citizen of Earth. He has no inkling that his destiny is far greater than the small planet he has inhabited for the first twenty-odd years of his life. One frosty winter night in the New England woods, he finds himself transported to the planet of Gor, also known as Counter-Earth, where everything is dramatically different from anything he has ever experienced. It emerges that Tarl is to be trained as a Tarnsman, one of the most honored positions in the rigid, caste-bound Gorean society. He is disciplined by the best teachers and warriors that Gor has to offer… but to what end? CLICK HERE FOR RECENT GOR NOVELS. While walking in a New Hampshire forest, college professor Tarl Cabot unexpectedly receives a strange communication from his long-lost father. Suddenly he is whisked away by spaceship to Gor, the Counter-Earth, a planet which we never see because it lives on the other side of the sun. Its powerful priest-kings have been able to shield it from even our theoretical view and, though the society seems primitive, its aloof rulers seem to be hoarding and selectively doling out secret knowledge and technological advances (such as spaceships and advanced medical and communication techniques). "Weep, free maiden. Remember your pride and weep." 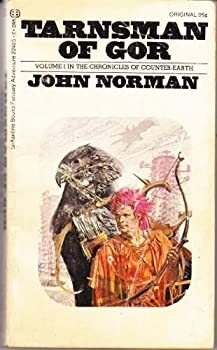 Outlaw of Gor is the second novel in John Norman's cult classic Gorean Saga. After languishing on Earth for seven years, Tarl Cabot is finally returned to the Counter-Earth where he hopes to find his father and the woman he loves. Instead, he finds that things are not at all as he left them. After a bit of roaming, he winds up in a city he's never been to before and gets tangled up in a battle of the sexes. 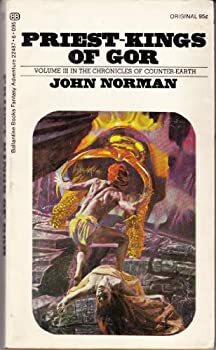 Nomads of Gor is the fourth installment in John Norman’s series about Tarl Cabot, the professor from Earth who is now a warrior on the planet Gor (the Counter-Earth). In the last book, Priest-Kings of Gor, Tarl was instructed by the Priest-Kings to find their egg — the last hope of the insectoid Priest-King race. The egg is in the keeping of the wagon people, a fierce group of nomadic tribes. Tarl needs to find these people, infiltrate their society, get the egg, and escape. 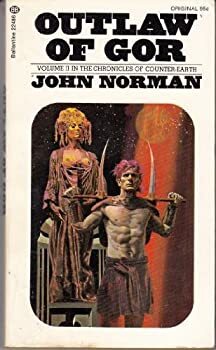 The Telnarian Histories — (1991-1993) Publisher: A corrupt empire spanning galaxies is challenged by a warrior born to lead a barbarian horde. 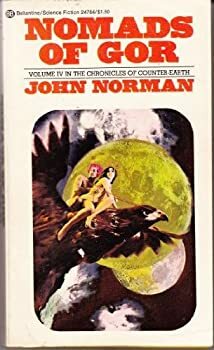 CLICK HERE FOR A FEW MORE TITLES BY JOHN NORMAN.